As sommelier scene develops, Melbourne envy dissipates. 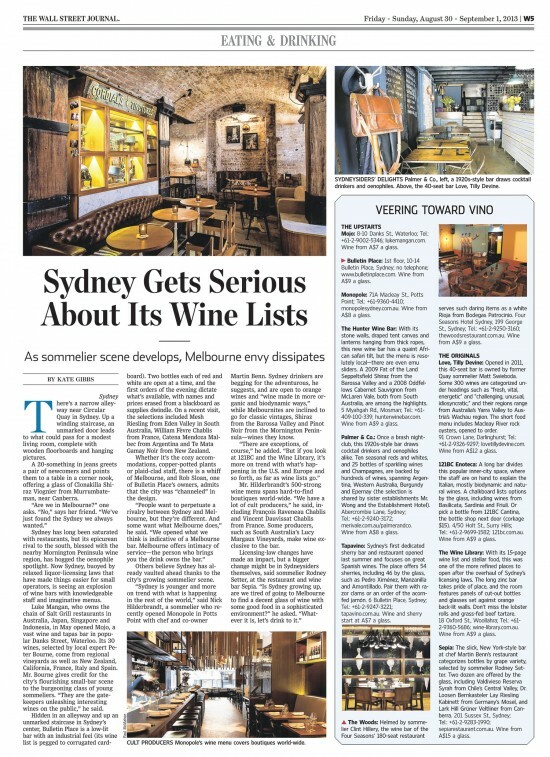 This article on Sydney wine bars was published in The Wall Street Journal Asia on Saturday 30 August 2013. Click the picture above to read.